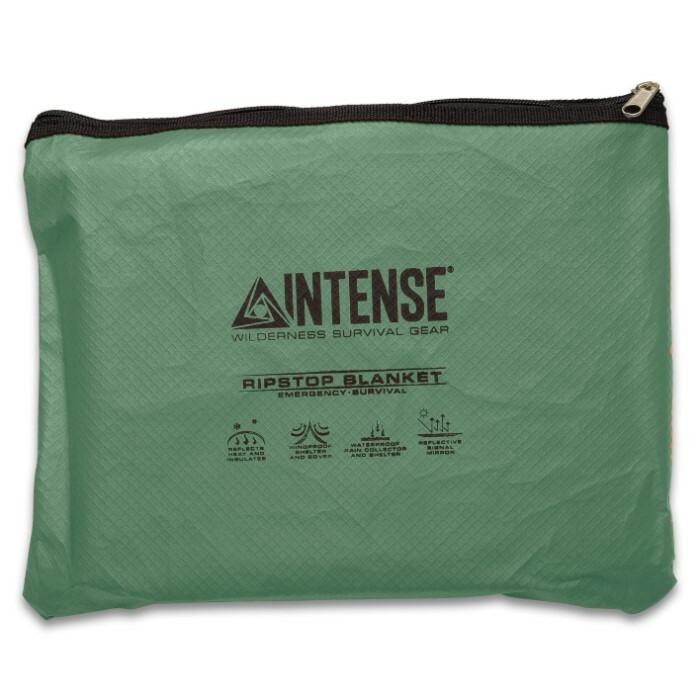 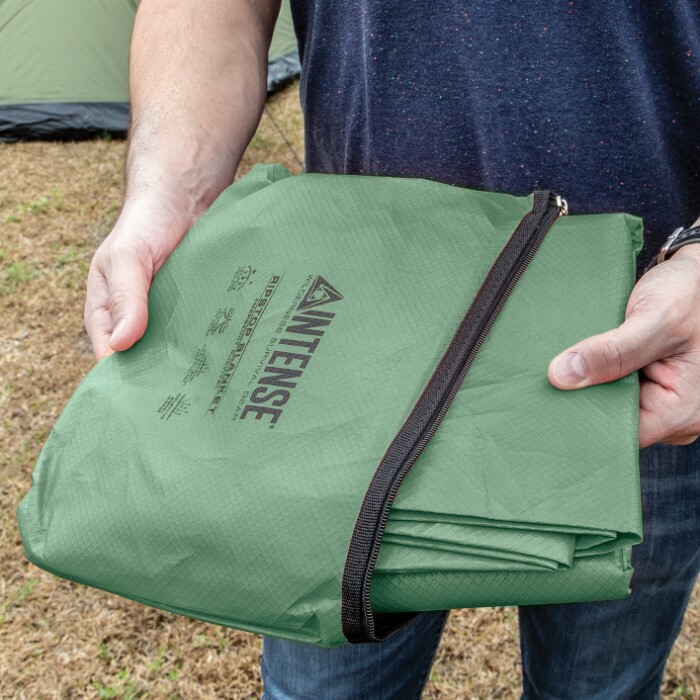 The Intense Sport Utility Blanket is a necessity for your gear when you go hiking, camping, hunting or boating. The extremely versatile, lightweight blanket features an aluminum reflective side and a strong nylon outer layer which is waterproof, windproof and tear-resistant. 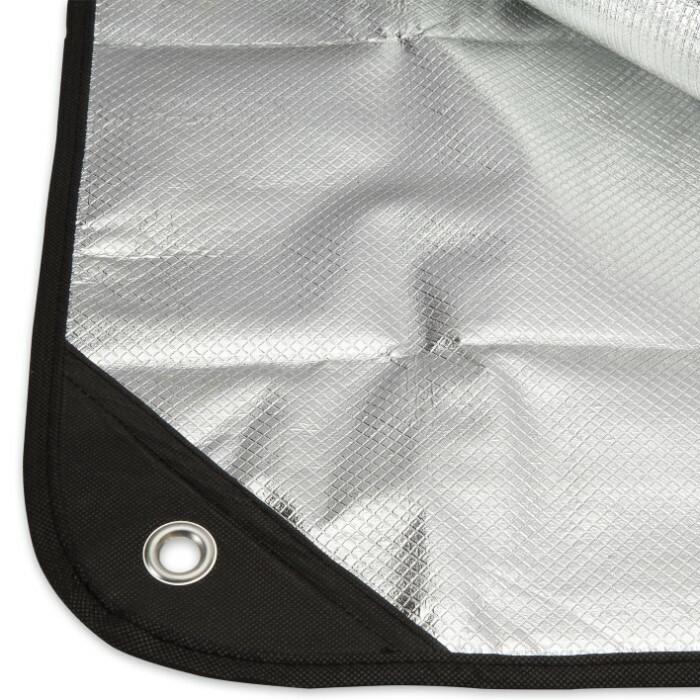 Use the aluminum side of the blanket to reflect heat, create a radiant barrier or to signal for help. 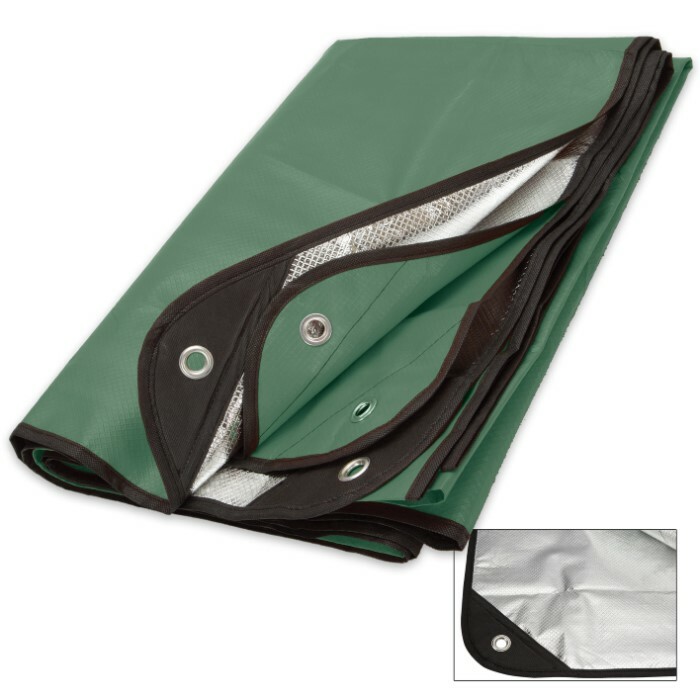 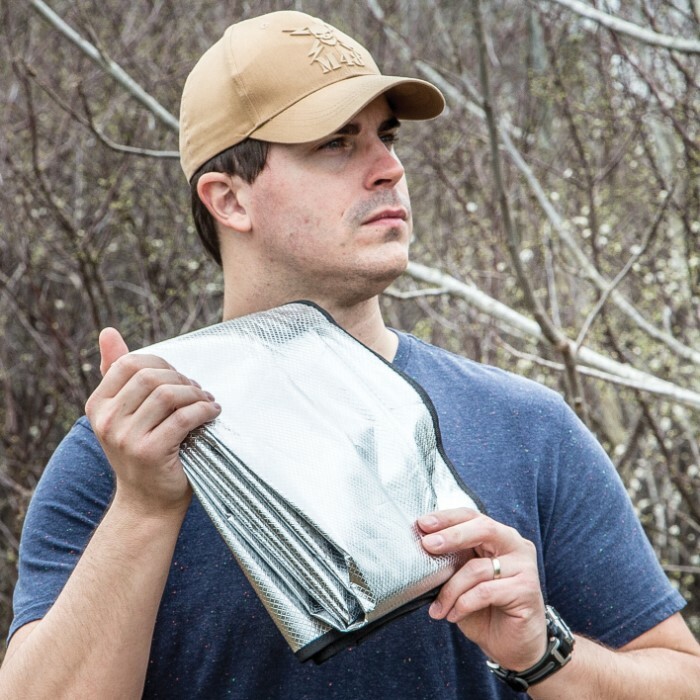 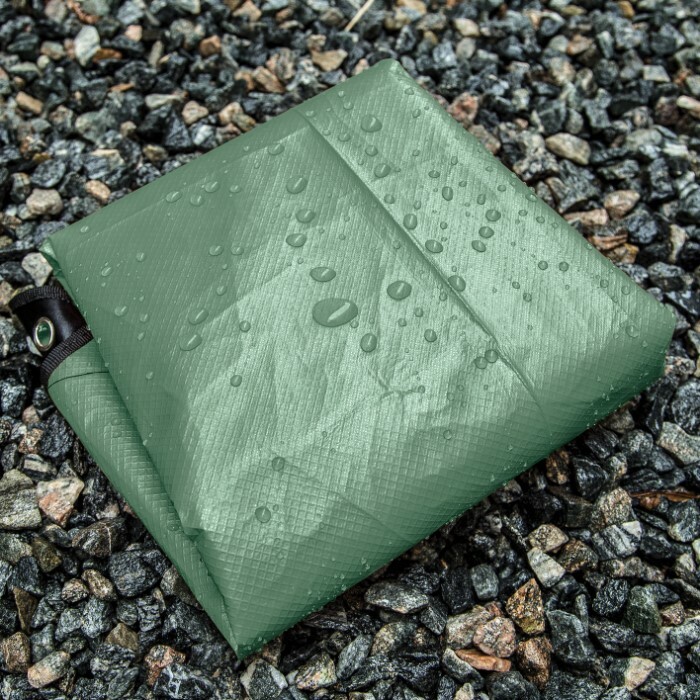 Use the olive drab utility blanket as a ground tarp, shelter, tent or emergency blanket. 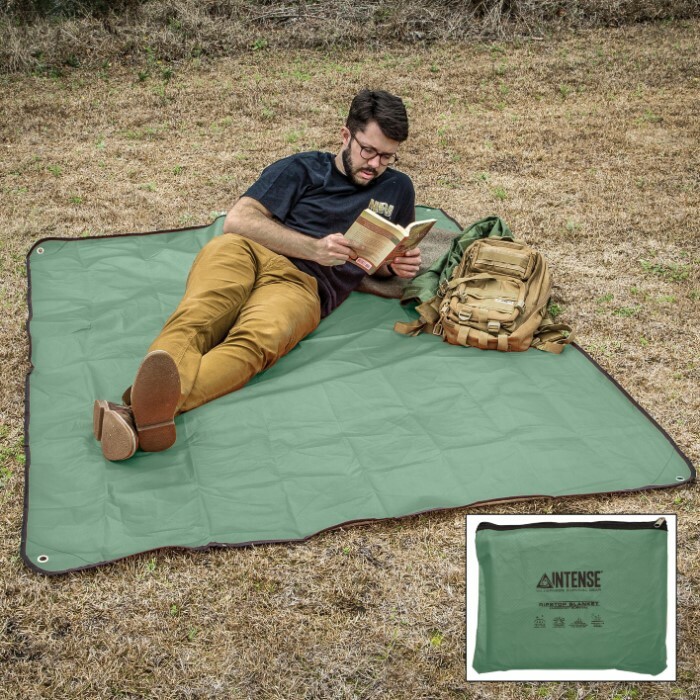 All four corners of the blanket have grommets and it comes in its own carry bag.